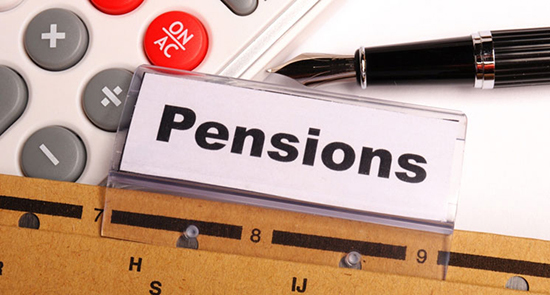 As with most other financial services jobs, pension planning requires the ability to work closely with clients and develop a good working relationship with them. Yet, formulating a retirement plan can often be complex, especially for newly qualified professionals working in the industry, because people have different attitudes and priorities. With life expectancies rising, pensions need to last longer than in the past and practical steps need to be taken. At the same time, it is crucial for new pension advisers to understand that each client will have a different attitude to risk, which is a key element to consider when compiling an appropriate plan. As a result, plans and investments need to be personalised and not simply based on returns. Here, we look at some ‘best practice’ tips to help newly qualified professionals to strike the right balance. Perhaps the most important thing for any newly qualified professional working in pension planning to understand is that a ‘one size fits all’ approach to the job will not work. You may need to deal with clients who have vastly different lifestyles, attitudes, aims and financial capabilities, so standard solutions are pointless. Clients will all have their own view on what they want from retirement and people see the entire concept in different ways. Talk to clients and find out what they actually want and need. From there, you can work towards a solution for them as an individual, rather than developing a plan which you think would suit people more generally. With that said, it is also vital to make sure clients understand the risks associated with some of their ideas. This is especially important now that pension reforms have been introduced, which offer greater freedom in terms of how they utilise money from their pension pot. While you need to listen to clients’ wishes, you also need to highlight problems. Do not be afraid to say that something is a bad idea; after all, they are paying for advice, not appeasement. Just like with mortgage jobs, risk plays an important role in pension-related work, and it must be pointed out to individuals. It is becoming apparent that different generations have different attitudes towards retirement planning and newly qualified professionals need to be aware of this fact. While it may make sense to talk to someone in their 60s about making their pension last for 20 years, younger generations have other ideas. “For younger clients, Generation X and Generation Y specifically, financial independence is the preferred goal,” says Andrew McFadden, financial planner and founder of Panoramic Financial. He argues that young people find that concept less intimidating than the idea of retiring from work with a definitive end date. Finally, it is sensible to guide clients through a well-rounded process, making sure that they understand each stage as you go. After gaining an overview of what they want from retirement, you will need to go through key planning stages afterwards, as there are likely to be things they haven’t considered. Early on, you may be able to establish a budget and some general goals, but as you advance through different stages in the planning process, you may need to help them to understand health insurance options, estate planning considerations, or effective ways to protect their assets. Ultimately, pension planning is much more than making sure money lasts long enough to pay for life after work. It may also involve getting wills in order, having emergency funds available and even investment opportunities. Develop a comprehensive process to cover all of these aspects and walk clients through it carefully.